Through the magic of the internet, namely Google, I’ve been able to learn a little more about the Advanced Radio Devices Model 230A. I’ve been in contact via email with the ham that owned ARD and he’s been kind enough to share with me many details about the company. So now I’ll be able to share the info with the rest of the ham community. 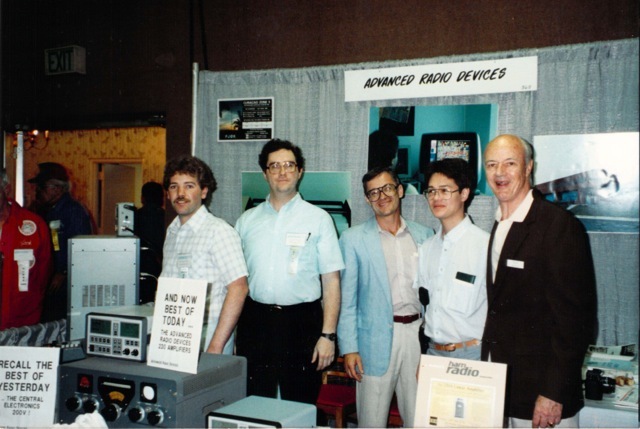 Advanced Radio Devices was owned by Bob Sullivan W0YVA. It grew out of a previous company, Technical Services and Manufacturing. Originally they provided product design and manufacturing services. The lead engineer was Chuck White. I don’t know if he was a ham or not. 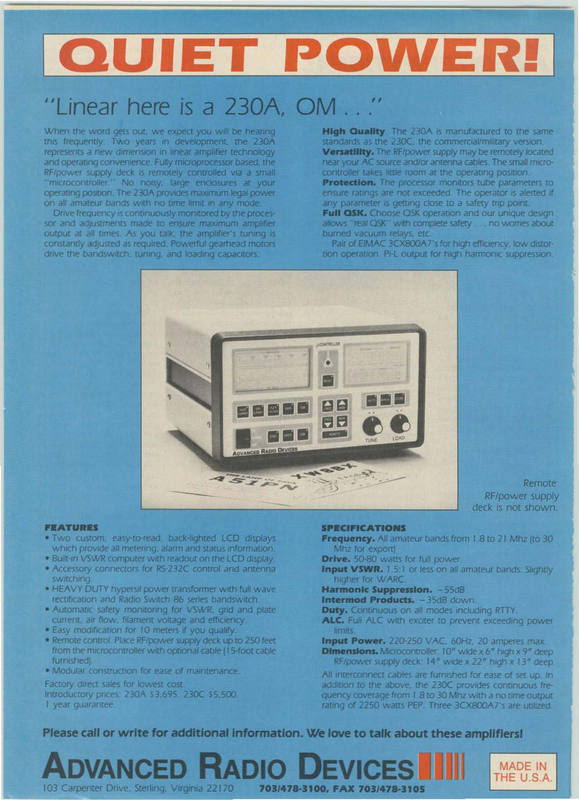 They later changed the name after investigating HF amplifier design and production. The company was in business from the 1980’s into the mid 1990’s. Various models of amplifier were produced by ARD. Models 230A, 230AX, 230C, 230CX were sold both stateside and export, as well as government contract sales. The two models of chief interest to amateurs would be the 230A with two 3CX800 tubes for 1500 watts continuous output and the 230C with three 3CX800’s for 2250 watts continuous output. There aren’t any specific sales records, but Bob believes they sold about 100 230A’s and maybe only 25 230C’s! By 1989 they had established a world wide dealer network for the amp. Many of these are big name companies still in business. 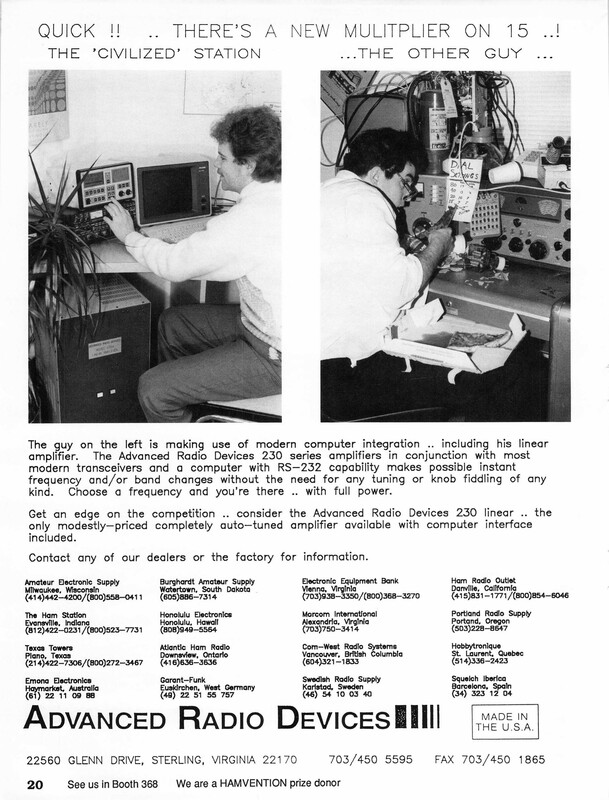 They also had a booth at the Dayton Hamvention that same year. 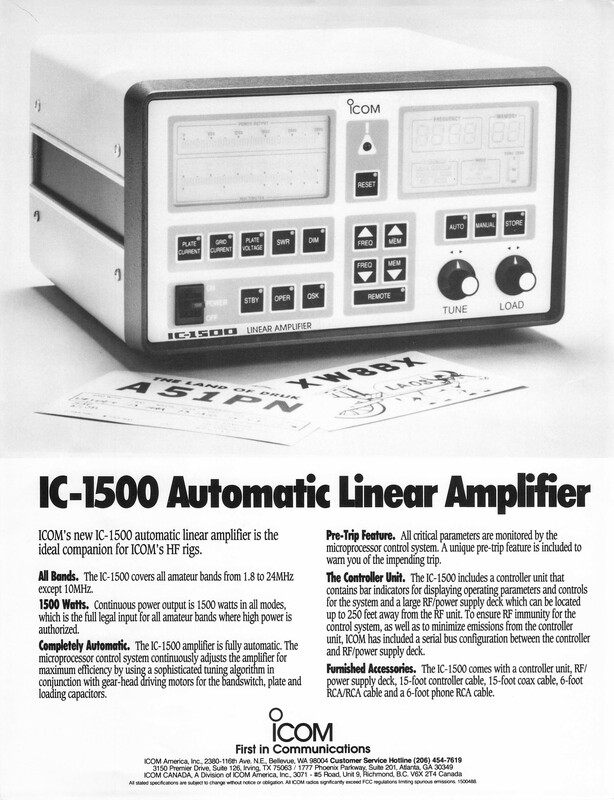 With the exception of military equipment, this was the only truly automatic linear amp on the market. 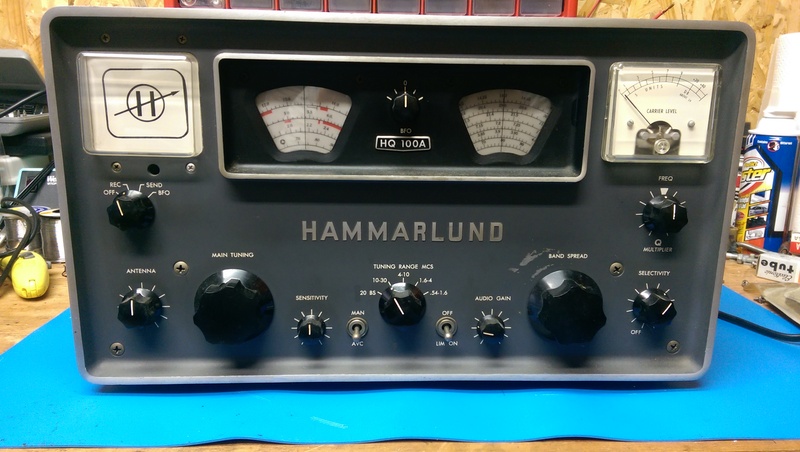 This was an opportunity to present the revolutionary new amplifier to the ham community. So much so, that it even attracted the attention of ICOM! There were several months of company negotiations which were to culminate in the production of a genuine ICOM badged super amp. In the end, ICOM backed out which probably led to the eventual demise of ARD, being it was a pretty small company. I’m happy to report that Bob Sullivan is still an active ham. His QRZ.com bio page is quite nice and informative. You can view it here. He also has a personal webpage which showcases his love of ham radio as well as other interesting hobbies. Click here for Bob’s personal page. A lot of good information here for the ham enthusiast. You can view his rundown on the ARD-230 from here. Next step for me is to order parts and get busy with the soldering iron. All for now. I just finished making a video that shows the ARD 230A on the bench. I go over some of the basics about the amp and a little history. I’m still doing research and will eventually devote a whole page here on the blog site to this rare beast of QRO proportions. Next step is to start the tear down and order parts. Hope you all find this informative. Several years ago in the Dayton Hamvention fleamarket this beast of an amplifier revealed itself. I’d only ever seen one other example of this technical marvels of the 1980’s; and oddly enough, it resides in my own county. Neighboring ham and fellow ARD-230A owner Steve W9RO nicknamed the beast “R2D2” because of it’s unique commercial design features. Alas, the siren song could not be overcome. Hamfest buddy Nick N9SJA and I each pooled our funds and gambled $1000 on this mysterious amp. Click below to see a neat, period advertisement from the February 1988 issue of 73 Magazine. So here’s a quick rundown on the basic specs of the ARD-230. 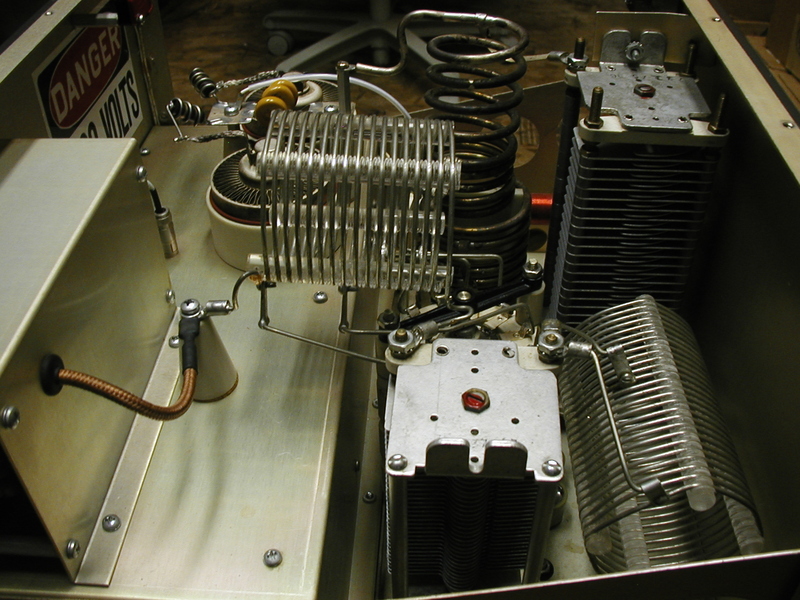 It’s a remotely operated linear amplifier capable of operation on any band from 160m through 10m. The RF deck is integral to the power supply and contains a pair of Eimec 3CX800 metal ceramic tubes. The power supply provides 2300V DC at around 1.5A max. This combination will make 1500W at full duty cycle continuous operation with around 60W drive from the exciter. It’s operated by the remote control head that can be located up to twenty feet away. You can choose from fully automatic operation, semi automatic operation or manual operation modes. It’s capable of sensing the frequency of operation and changing bands automatically, while adjusting the Tune and Load capacitors for ideal settings. During operation it can also sense various abnormalities such as excessive plate or grid currents, or low air flow, and alert the operator or entirely lock out the amplifier for protection. Much to our dismay the amp proved to be in ill health. Initial testing rewarded us with many tripped breakers. Further inspection found some damage to the undercarriage. Possibly the result of a drop? After some weeks of gentle coaxing I was able to fire it up without tripping breakers. Perhaps the HV power supply caps were re-forming? Now I could apply some low drive and see if it would truly amplify. Fully and semi auto modes proved unsuccessful. Manual mode was slightly better but more discoveries were to come. Further inspection revealed the proverbial golden screwdriver had been used quite liberally on this device. The motor driven air variable caps where totally out of synch, and didn’t even come close to indexing with the 0-180 degree indicators on the display. The shaft couplers from motor to drive, and drive to cap were a mess. The only redeeming values so far have been the beefy power supply with a massive Peter Dahl transformer at its heart and a very clean RF deck. 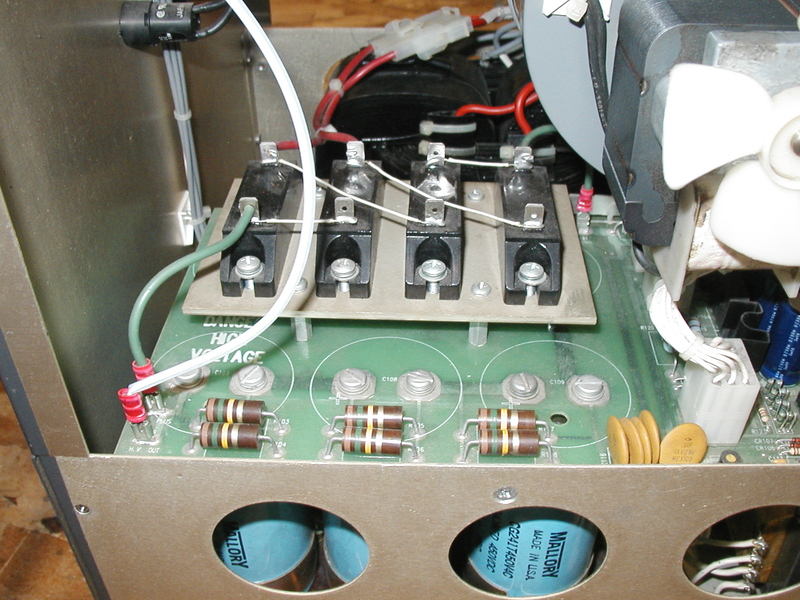 The 3CX800 triodes were still in good shape, too. This is an instance in which the sum of the parts is actually more valuable than the whole. It’s worth more money in pieces! But what a shame to hack the beast…a very unique and capable amp that seems to be fairly rare and something of an enigma for hams. And so it’s lived for several years now–cast away in a dark corner of the ham shack and awaiting its turn on the workbench. While I haven’t been working on the amp too much, I have had a pretty good opportunity to research it. It’s not without flaws, but they’re few in number. The components are of high quality and it’s even capable of QSK CW operation due the the vacuum relays, for the so inclined. As I understand it, ARD was supposed to produce this amp and badge it for Icom, as a part of their product lineup. In the end, Icom backed out of the deal. What a difference that might have made! Google searches have turned up tiny bits of information but a lot of it is dated material from old listserv sites and such. I’d be curious to the know the total number produced by ARD. I’d be even more curious to know how many are still in operation. My goal is to refurbish this amp and enjoy a little unashamed QRO operation. This amp is just plain hamsexy! It’s capable of mondo power output if desired. I don’t think it’ll win a key down contest with a Henry 4K Ultra, but we only get 1500W PEP, right? 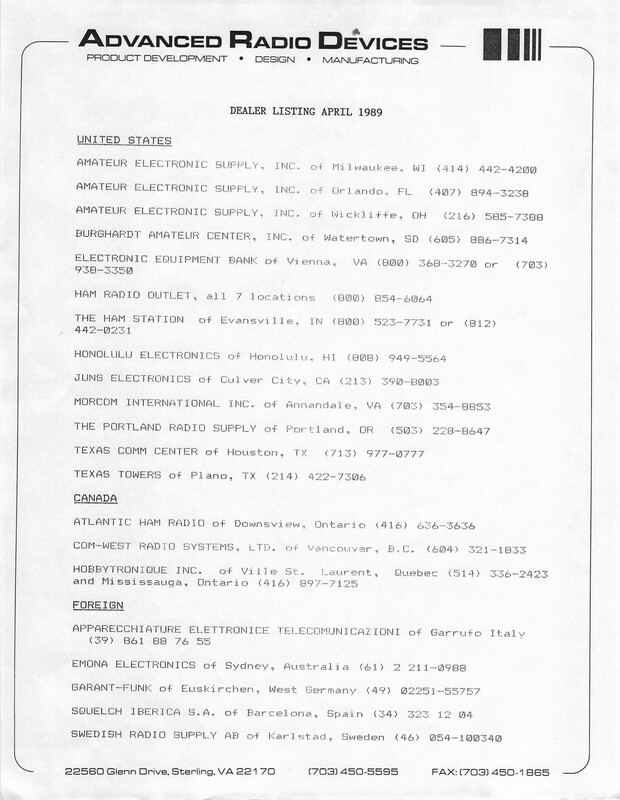 An ARRL search turned up a couple documents from 1988, ’89. I’ve included them below if you’re interested. The first is a product announcement for the amp and the second is their product review. They found it quite capable and were very impressed. Keep in mind that this was a time when a powerful computer of the day had less performance than my smart phone! A little Z80 processor was the brains of the machine. Only a serious ham would’ve had the cash to own one of these. Suggested list price was anywhere from $3500-5500! 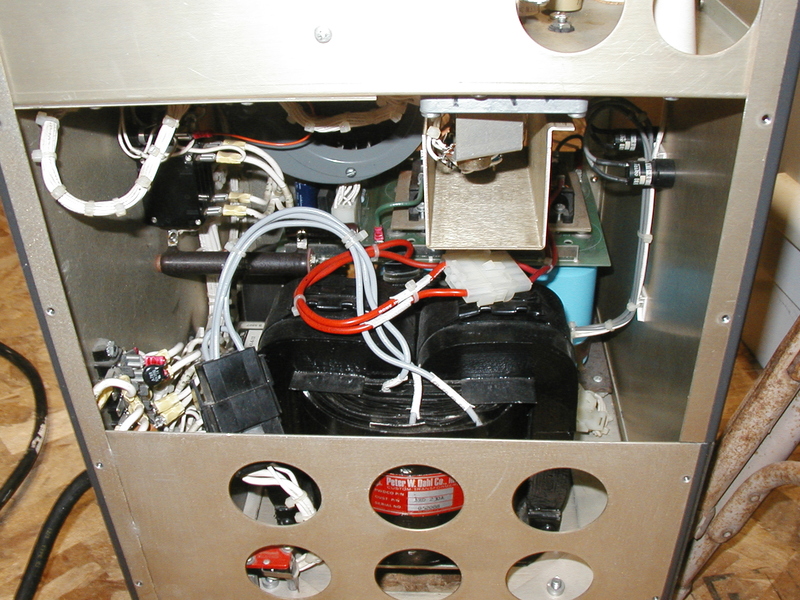 I think this blog will become a series as I go through the necessary repairs to return R2D2 back to its former glory. Perhaps I’ll even post some videos on my Youtube channel. Hope you enjoy. The zero pressure balloon preparing for launch. April 19 I was able to attend my second high altitude balloon chase event. 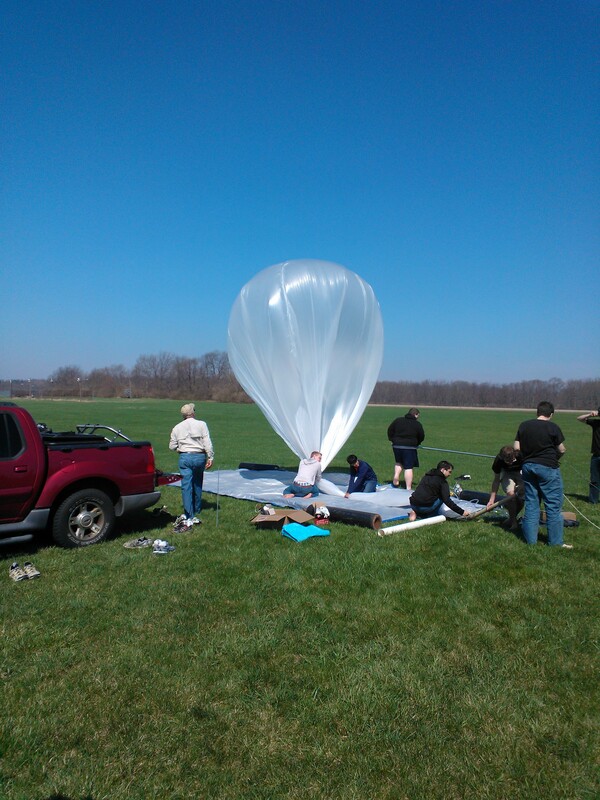 As part of a nationwide competition the Purdue AMET club launched two balloons. 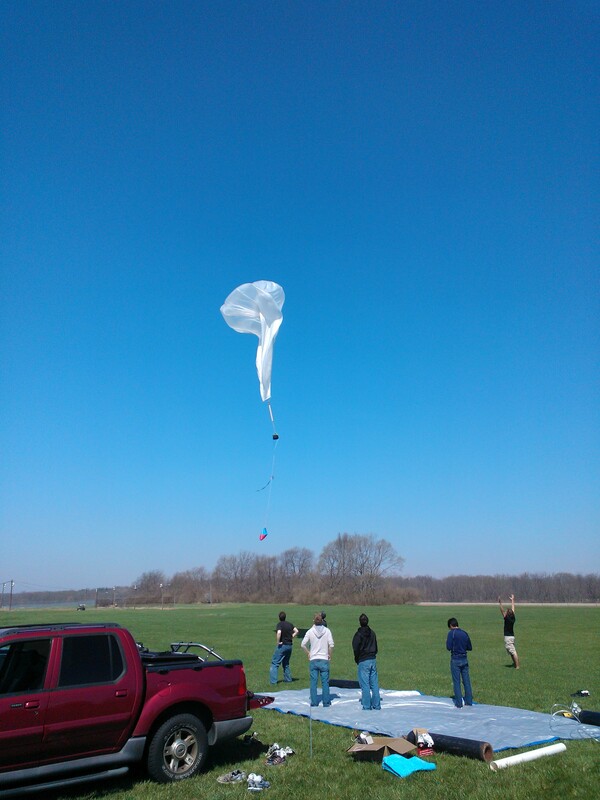 The Purdue Physics Society also launched a balloon. This required a concerted effort to chase three balloons launched at different times from two different locations. I was able to get in on the balloon projects since I’m a member of the Purdue Amateur Radio Club. We’ve partnered with the other clubs to assist in tracking and comms support. In the process, we’ve been able to encourage many of the club member to get licensed. We even started our own PARC VE team. In addition to the various club members out tracking I also had my son, Jared, riding shotgun; and friends Nick N9SJA and Tabb W9TTW in their mobiles. We were able to track and recover two of three balloons. AMET balloon #2 is MIA and hopefully will be recovered by someone and returned to the club. AMET balloon #1 was a special zero pressure balloon that was actually totally constructed by the club members. It’s designed for an experimental payload. What it lacked in speed and altitude it made up for in endurance. We followed it all the way to the end of a dirt road outside a small town in rural southern Ohio. We were actually able to see the balloon and follow it as it floated along at 40,000 feet altitude. I wouldn’t have believed that possible. The Physics balloon ended up in a tree in a golf course community in Fishers, Indiana. Liftoff for the zero pressure balloon. It was nice to really make use of the APRS features of the Kenwood TM-D710 in my mobile. We were able to copy the balloon’s beacons direct from our mobiles. It was also helpful to be able to tether my tablet to my cell phone and view the balloon in real time on maps. This also helped us plot our route as we followed along. At one point the balloon went right over my house and used my digipeater. That was really neat for me. It definitely took us into some unfamiliar territory. We knew it was a good sign as it went past Dayton, OH. Being that near to Hamvention land was some good mojo. Can’t wait to get back there in a few weeks. I’ve included a pic that shows the flight path of AMET #1. You can see the red line is the path it traveled. The blue line is from the pickup point back home to West Lafayette. They must have turned off the beacon and then turned it back on again later. It was neat to follow it along and see it hanging in the sky, especially after it got below 10,000 feet. As it got cool in the evening the altitude really started to drop. I wish I could’ve gotten a picture of it lit up by the sun and floating along about 5000 feet thorugh some rolling fields out in the country. We’re looking forward to some more balloon projects this summer as many of the members will be sticking around campus. 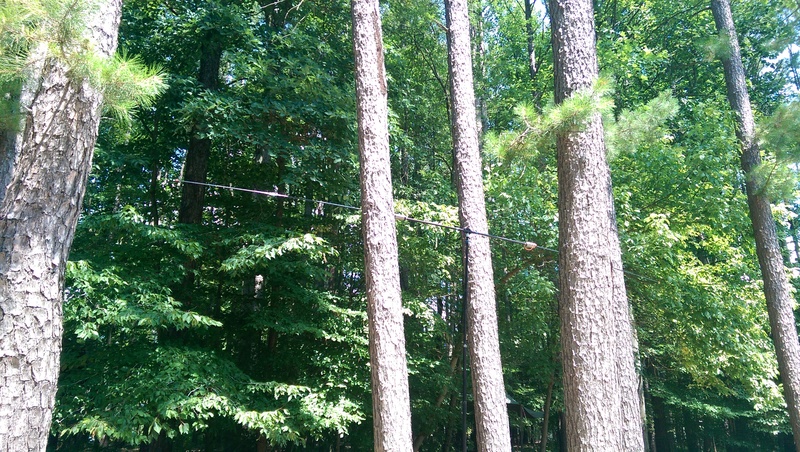 We also have plans for using the kite antenna again. Maybe this time we can send up a small, low power repeater. AMET balloon path from aprs.fi. My home digi in operation. For a long time I thought that APRS was pretty much a solution to a nonexistent problem. It provides position tracking, but how many times can you follow your buddies around on a map before that gets boring? It uses a 1200 baud packet radio protocol, but most packet has been dead for years. The only exceptions are a few DX cluster nodes and some emcomm stuff. And even at that, 1200 baud is slow when most any gear can run 9600 now. So, what’s the attraction? My thoughts changed after tracking a high altitude balloon. APRS really proved itself invaluable in this endeavor. We were able to not only copy direct packets from the balloon, but also see the beacon packets on aprs.fi using a smart phone when we were out of range. This made recovering the payload much easier–of critical importance when there’s the potential for a high altitude to travel outside of state lines and beyond. At some point the location beacons stop getting reported to the APRS-IS network if it gets out of range of a digipeater. The last two times it was when the balloon was still 2-3000 feet up. This prompted me to examine how many digipeaters were in my local area. I live directly between two fairly large cities. Indianapolis and Lafayette both have wide area digipeaters but there aren’t any local digi’s in my area. Just one I-gate in Lebanon. I thought it might be nice to set one up. This should help provide coverage for local passing motorists and may be of help to the local ARES team in the future. Just last fall we had a destructive tornado come through my county only 10 miles away! 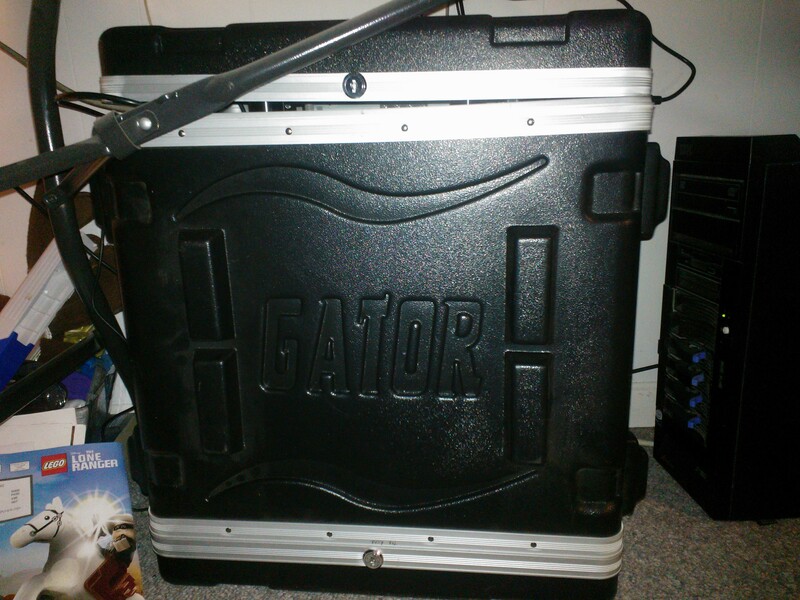 The guts of the system are housed in this box under the table. aprsisce/32 on my spare laptop. I had to make a couple changes to the xml file and then it would operate as a digi. Then I changed the 700 to run as a KISS TNC and connected it to the laptop. This proved simple once I found correct straight through F/F serial cable. The 700 still has an old school DB9 male serial port so I didn’t have to construct a special serial cable with a mini DIN connector like the newer TM-D710 requires. After making all these changes I saved the config to another Programmable Memory channel. Now my digi can operate stand alone or with the laptop. Using the laptop is nice since it shows all the activity in the area and also handles APRS messaging. I have a feeling this is going to be a long blog post. But hey, sometimes I have a lot to say. Occasionally, it’s even interesting. If you like older Kenwoods or just playing around with different rigs, then this will be for you. It’s not really a product review, just some general observations. Over the weekend I hooked up a nice, old Kenwood TS-450SAT. 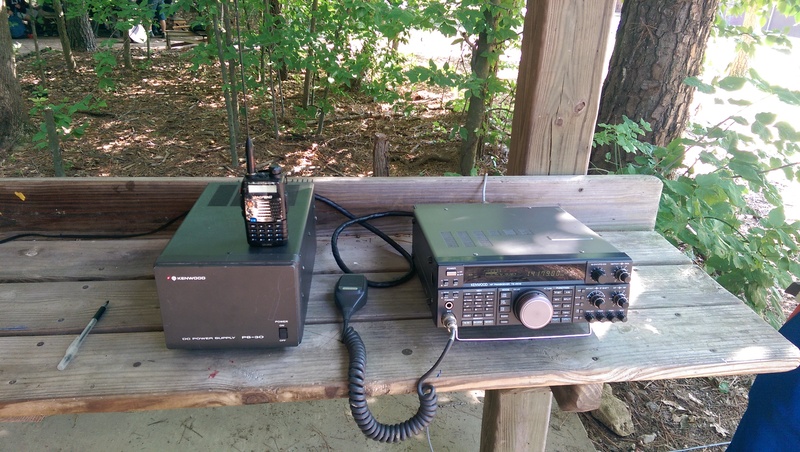 This is one of the radios I got from Mark Quebe N9EKG over the summer. Some readers of this blog will remember my previous post on this adventure. Sure was glad to have Dad and my sidekick Nick N9SJA there for the long day of work. Initially, I’d hooked the radio up just to try it out and didn’t have spectacular results. I could hardly make it work at all. With disappointment I’d packed it away for another day. Having nothing better to do, I hooked it all back up again. I think the cabin fever is setting in. What I found out is that it seems to receive quite well, but has very little AF output. This is likely something easily fixed. Even better, it was now showing full power output into the dummy load. I don’t remember it working at all last time so maybe it’s had some group therapy sessions in the shack with the other gear I’ve banished to the shelves. Either that or reading the operator’s manual has paid off. I don’t know which? I attached an MC-60 mic and hooked it up to the hexbeam for some real testing. This proved to be successful as I made several contacts on 17m, including DX. For a smaller radio it has a good, solid feel to it. Kenwood built some quality into these back in the day. In spite or converting to a Flex-5000A as my main shack radio, I still love to spin the dial and push buttons. But what to do about rig control? I’ve gotten used to having all my gear interfaced to the computer with the Flex. I had to keep reminding myself to manually input band, freq, mode, etc into the HRD logbook. 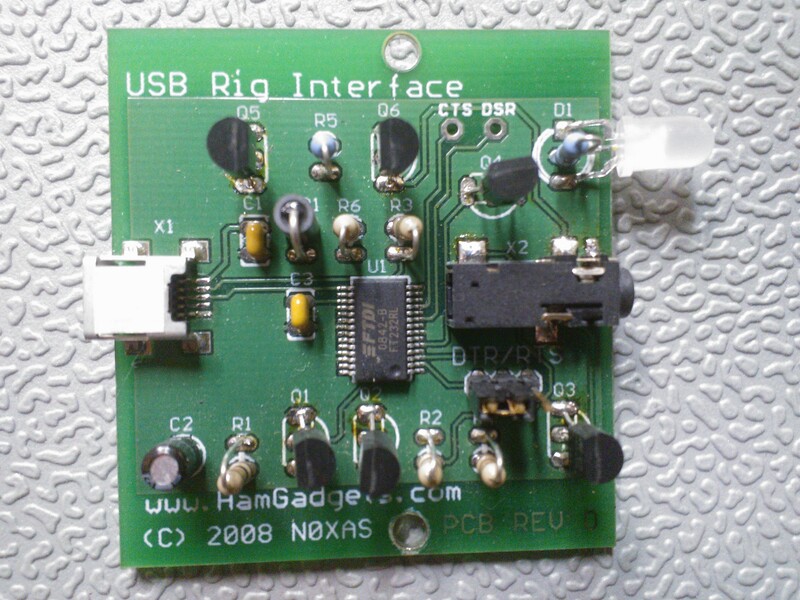 Then I remembered this USB rig interface kit I built years ago for an original Icom IC-756. It was designed by N0XAS HamGadgets. 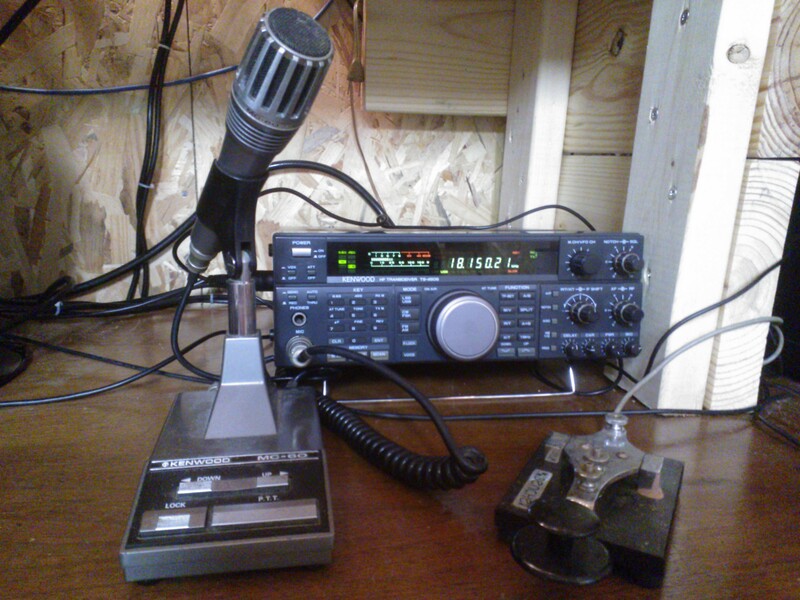 Sadly, it’s no longer produced, but it worked quite well on the 756 and also a Yaesu Ft-736R. After I dug it out I found that it even had the correct 6-pin DIN plug on it for the TS-450, and it was wired correctly! When you’re hot, you’re hot. After a little bit if research I found that Kenwood used inverted TTL for their serial rig control. I can’t even guess why they would do that other than to be different. This normally requires buying their interface box or a homebrew lashup with opto-isolators and such to deal with the inverted logic. Fortunately, the rig interface had a utility program on the software disk called MProg. It allows you to change the settings and configuration for the FTDI chip and then flash them to it. It worked quite well and I’m pleased to report that the radio is now communicating happily with the HRD suite. Other than having to run the AF gain all the way up I’m pretty pleased with this radio’s performance. The antenna tuner seems to be jammed up so I don’t use it. Maybe when I dig into the low audio issue I can check out the tuner, too. As I’ve researched it on the web there are very few known issues requiring mods. That says a lot about the radio’s design. It’s not fair to compare it with the Flex but it does perform solid. I could improve it a little by adding better filters and maybe a Heil mic. International Radio has an excellent assortment of them available. Unfortunately, I could spend more than the radio’s worth on filters! It’s still going to be an early ’90s compact HF transceiver, though. I don’t want to try and make it more than what it is. I think I’ll just enjoy it for now…and then on the the next project! Sunday afternoon I finally had a chance to get on the air. After the annual Cub Scout Blue & Gold Banquet with Amber and the boys, I found myself with a few hours of non-designated free time. This is a rare treat for me so I chose to check out the bands rather than do the work I really should be taking care of. 2014 is a big year for the ARRL. We’re celebrating 100 years of the League advocating for our amateur radio hobby. They’re planning many activities to celebrate this occasion. One of them is called the ARRL Centennial QSO Party. 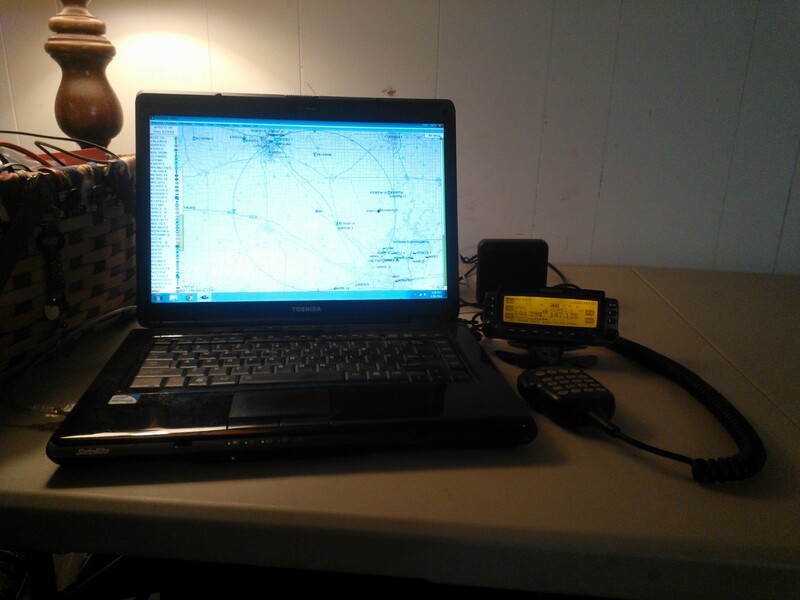 The League is using the special callsign W100AW from headquarters in Newington, CT. In addition, they’re using volunteers in all fifty states to operate portable. The idea is to allow hams to earn Worked all States by the end of the year working only W1AW/P stations. Here’s the schedule for the year long operating event. In addition, there’s a quasi contest for those who are so inclined. Stations and operators are worth varying points that will be tallied at the end of the year. I heard W1AW/6 on 17m this afternoon and had to give them a call. That was kinda cool so I continued to tune around the bands looking for some action. I managed to work Belize on the first try. Love a little DX. Tuning around some more turned up W1AW/6 on 15m. The bands seemed to be in great shape I even heard stations operating on 12 and 10M. While tuning around 10m I hear yet another W1AW/6 station. This one was definetely the hardest. I could hear the YL op easy 59 but she couldn’t hear me at all. It took an hour of frustration and tuning around different band, but I finally worked her. Now I’m motivated to try to pick my missing WAS states by using these W1AW/P stations. New year, new projects. Trying to kick off 2014 in grand style. I’ve been so busy working on ham radio projects I’ve hardly even gotten on the air. My online logbook looks pittiful! Projects are really enjoyable for me…and often are very good learning experiences. But I do miss making radio contacts. One of my recent projects involves setting up an APRS digipeater. Not a wide area one like in big cities, but something local that will help get packets from mobile or low power stations out to the bigger stations and onto the world wide networks. This interest all started back in November when my buddy Nick N9SJA and I went chasing a high altitude balloon that had APRS tracking. You can read about that adventure in my previous post. I’m happy to say that the project is successful and fully operational. However it’s potential is not yet fully realized. I feel like I’ve just begun and have so much to learn about best practices and proper setups for a local digipeater station. My choice of radio is a Kenwood TM-D700. This radio is no longer in production, having been replaced by the TM-D710, but it’s still a good radio and available at a discount used. It’s mounted in my family room and connected to a dual band J-pole antenna in the attic. The antenna is one of those homebrew arrangements constructed from a piece of 450 ohm ladderline. The nice thing about the Kenwood is that it has built in APRS capabilities that can operate on one band of the radio while letting the other band function for normal voice duty on 2m/70cm, simultaneously. Right now this is a very simple arrangement. The D700 has a serial port on the front of the radio that will allow it to interface with a computer. This will allow you to get a visual on what the radio is hearing. One of the programs I’ve used for this is called APRSISCE/32. It can operate as a monitor only or can actually control the radio. After getting a passcode, it’ll allow you to beacon packets from the radio and also directly to the APRSIS network if connected to the internet. With some modification to the XML file it will also act as a digipeater. So now I have multiple options on how I wish to operate the station. An added bonus is now I can monitor local simplex and repeaters without having to go out to the shack. So where do I go from here? I think I’ll mount it all in a box and do a little cable management so it looks better in the main room of the house. I also think it would benefit from having a backup power supply in case of power outages. This happened just last fall when a tornado ripped through my part of the county. It’s my hope that the local ARES/Skywarn volunteers might be able to make use of my digipeater when needed. When the weather gets up somewhere above freezing I plan to construct a new and improved antenna and locate it outside for better coverage. This attic antenna is deaf compared to the Diamond X500 I have connected to the dual bander in the shack. Crossband repeat might also be handy as I have a couple dual band HTs that could be pressed into service. A final option is to setup different operating modes using the Kenwood Programmable Memory function for each scenario. This allows for five completely different setups that can be programmed into preset buttons on the radio control head. I’ve rambled on long enough. Stay tuned for another upcoming project blog coming soon. After that I may get around to making some contacts!